The code has expired! 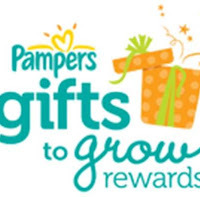 Click here to sign up for Pampers Gifts to Grow so you're ready for the next code! You'll get 100 bonus points just for using my link! Use my link and you'll automatically get 100 points added to your account! I joined the program last year and I have over 3,000 points. We just had our son on 10/11/12 so most of those points were from free public codes. Hoping to get our little one a nice FREEBIE soon :) Maybe even a FREE stroller!